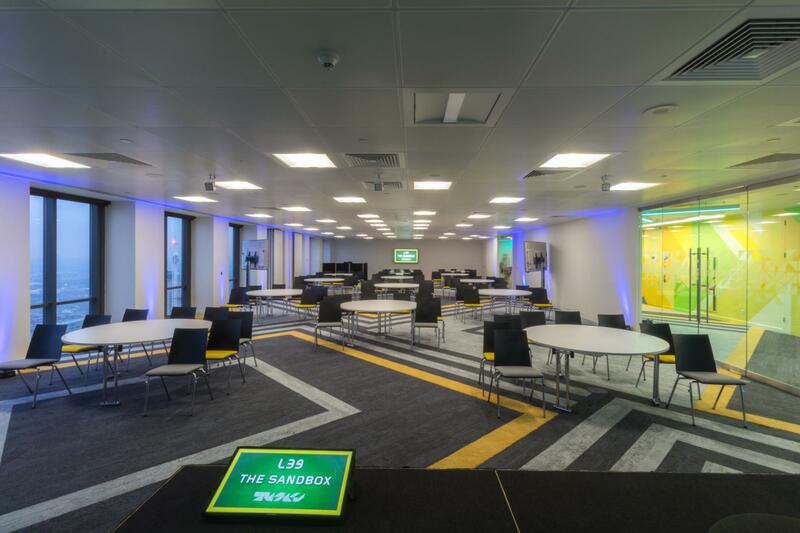 The Sandbox is Level39's brand-new events facility. 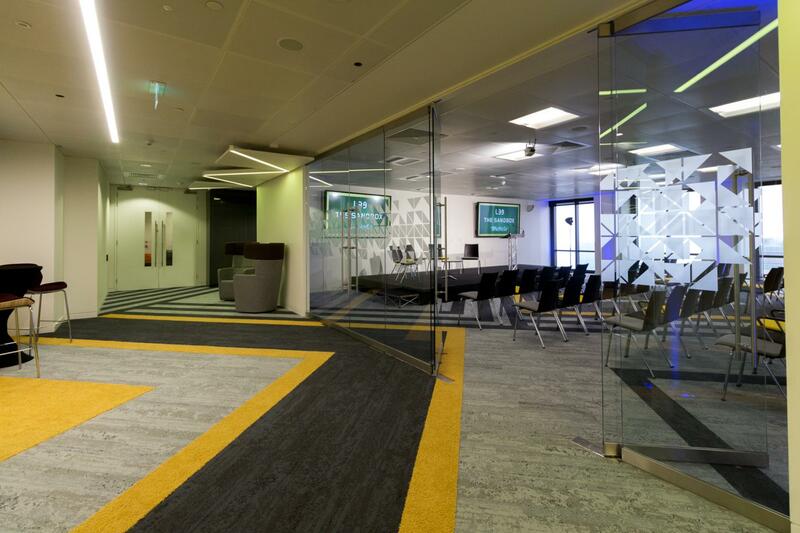 Flexible and creative, the space is designed to facilitate best-in-class tech events situated in the heart of London's Canary Wharf. 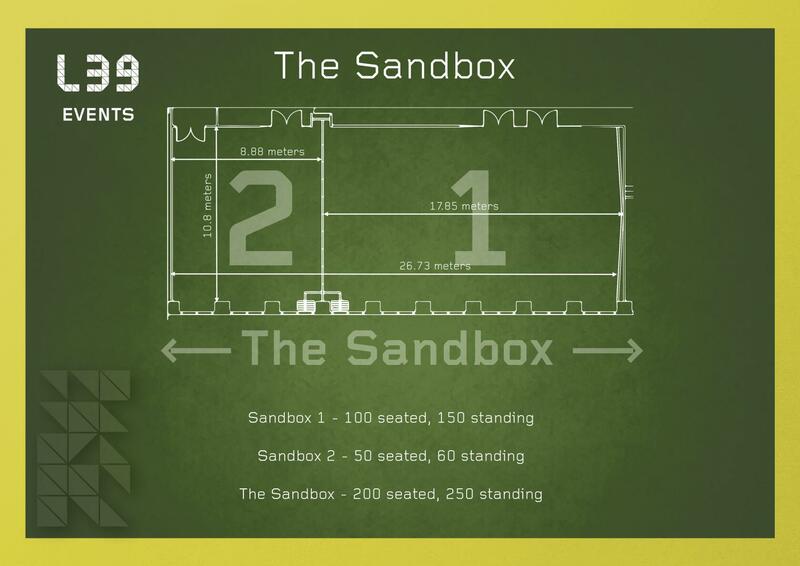 The Sandbox can accommodate up to 250 guests in a standing configuration, and up to 200 seated. 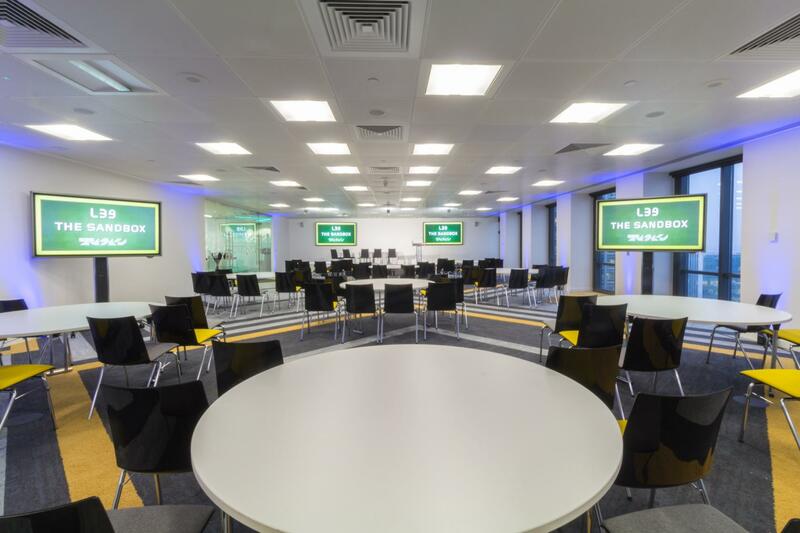 The Sandbox is fully equipped with a full AV package including screens, a sound system, microphones, podium and a removable stage as well as offering exquisite views overlooking Canary Wharf and Greenwich. Located in One Canada Square, Level39 is situated in the heart of Canary Wharf providing easy access to the City of London. Wharf itself hosts a dynamic wealth of business, educational and cultural activity, 300 shops and bars, and working population of 120,000. Whether you are planning an event, training session, meeting or conference, our facilities and service team will cater to your every need. We also offer an extensive selection of AV equipment and catering packages to support and enhance your event.